Europcar provides car hire at Knock Airport in the row of car rental desks at the Main Arrivals Hall. 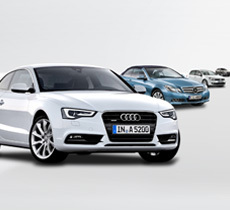 Checking in to collect your rental vehicle couldn't be simpler. If you have already booked online, you can present your confirmation details at the desk, where a Europcar associate will promptly call up your reservation, assist you in completing the rental contract and lead you to your car of choice. Knock Airport is a small facility, and the hire cars are parked just a short walk outside the main terminal building. From the time you're greeted at the desk to the time you're on the road should be around five to ten minutes. 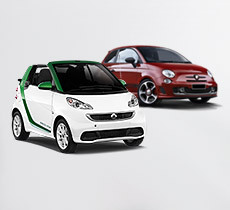 Before driving away, you will have an opportunity to inspect the vehicle with the Europcar associate. 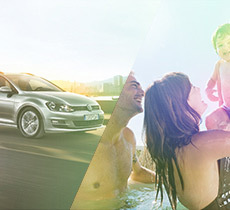 Given that all Europcar vehicles are less than three years old, your vehicle is likely to be in top shape; however, if there are any defects, these will be noted on the paperwork. 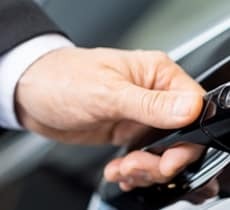 The real attraction of pre-booking cheap car hire in Knock Airport is the ease of getting to and from the airport it affords. You won't endure any parking hassles, and there's no need to haggle with a taxi driver over the fare. 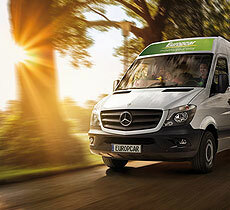 Better yet, booking with a well-established firm like Europcar means you know what to expect before you arrive. Knock Airport is located immediately along the N17, only 30 kilometres from Claremorris, 50 kilometres from Sligo, and 90 kilometres from Galway, each of which provides access to Ireland's wider network of motorways.